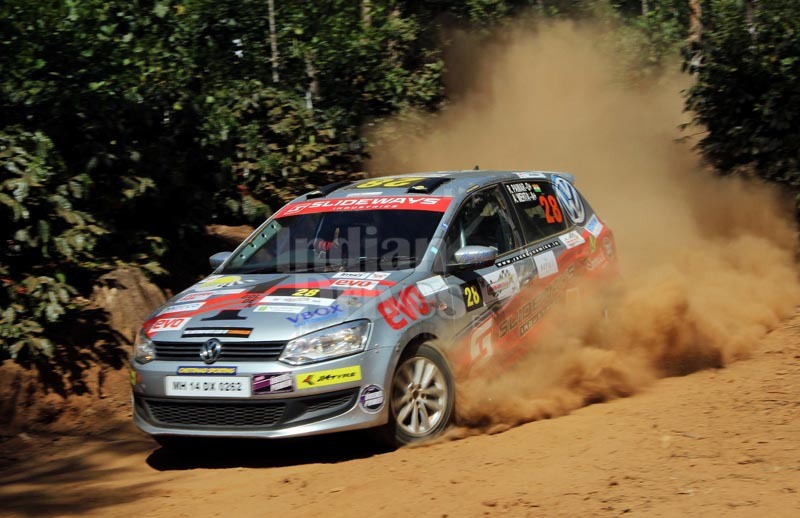 INRC 2013 season finale held at Chikmagalur witnessed Volkswagen Polo rally cars dominate throughout with Arjun Rao Arur winning the Coffee Day Rally overall and the 1600 category. 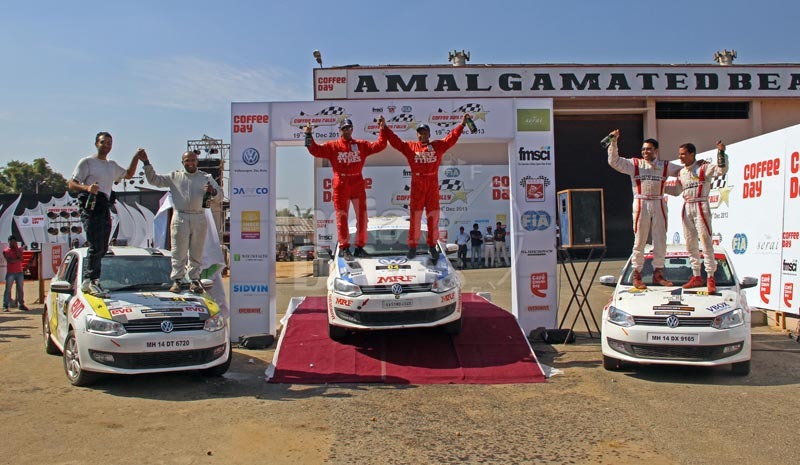 Following him on the podium were Sirish Chandran and Hrishikesh Thackersey, also driving Polo rally cars to make a clean sweep in the INRC 1600 category for Volkswagen-powered cars. 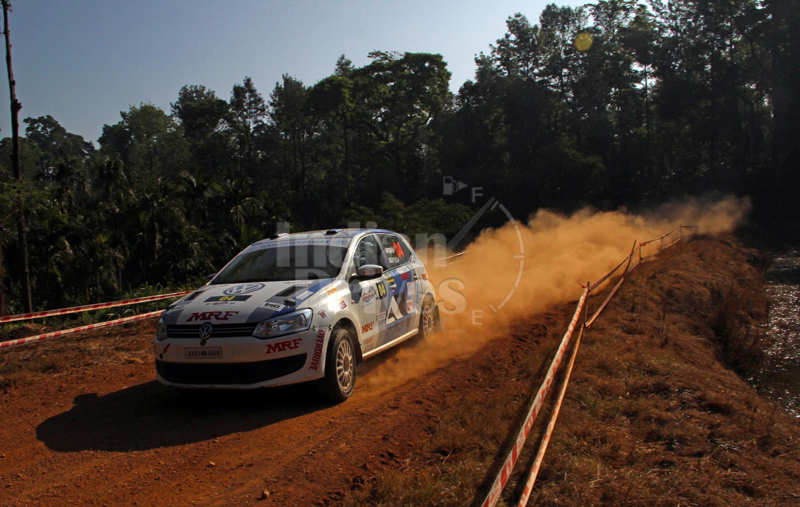 Rohan Pawar, also driving Volkswagen Polo, won the JINRC category. Running through the coffee estates of Café Coffee Day around Chikmagalur, the season finale of Indian National Rally Championship 2013 season was nothing short of extreme drama with cars running through most challenging stages of the season. Proving their mettle through the tough stages were Volkswagen Polo rally cars managing to clinch as many as six trophies with Arjun taking double honours for winning in the 1600 category as well topping overall amongst all classes and Sirish Chandran also taking double honours for finishing second in 1600 and third overall. With this victory, Arjun also won the 2013 INRC 1600 title. Hrishikesh Thackersey followed Sirish in INRC 1600 on the podium in third spot. 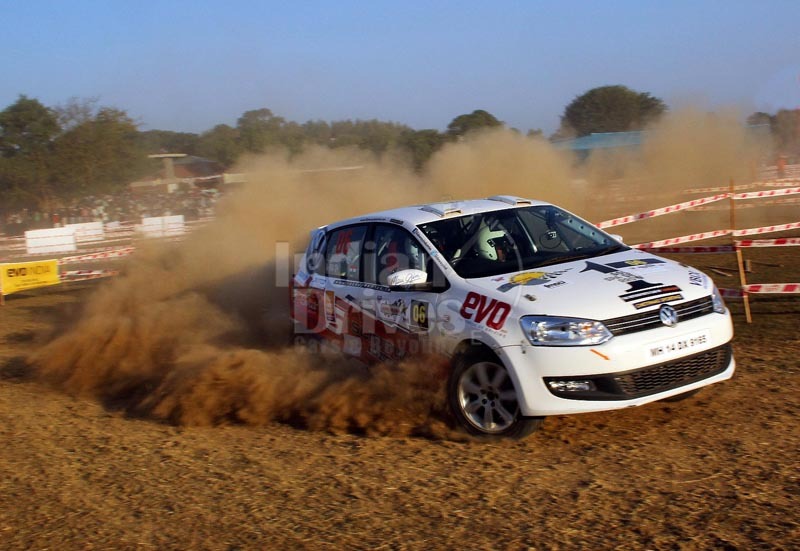 While Sirish was the first reason for Slideways Industries to celebrate, Rohan Pawar won in the Junior INRC category to give the Volkswagen customer team a second reason to celebrate. Karamjit Singh, driving Volkswagen Motorsport India developed, Polo R2, was the fastest till SS9 and was leading overall. However, a mechanical failure forced him and co-driver Jagdev Singh to opt for a retirement on SS10. Their car broke down and stood across the route forcing the organizers to cancel the SS10. Results till SS9 were taken as the final results.